Breaking news: Beyoncé is a goddess. You and I already knew that, but she proved it once again through her performance at Coachella Valley Music and Arts Festival this weekend. During the hours-long set, the 36-year-old singer welcomed special guests (hayyyy, Solange and Jay Z! ), changed outfits multiple times and performed hits like "Single Ladies" and "Love On Top." She even opened her set with a drum line and marching band intro into "Crazy In Love." Watch below! Epic, right?! And that's just the first song! She also reunited with her fellow Destiny's Child members—Kelly Rowland and Michelle Williams—for a few throwback songs and the crowd LOVED it. Adele—who's made herself known as a Bey super fan—posted some super #relatable Boomerangs on Instagram of her jamming to her friend's set. Rihanna was definitely lovin' it, too! But Bey's set wasn't just an amazing musical feat. 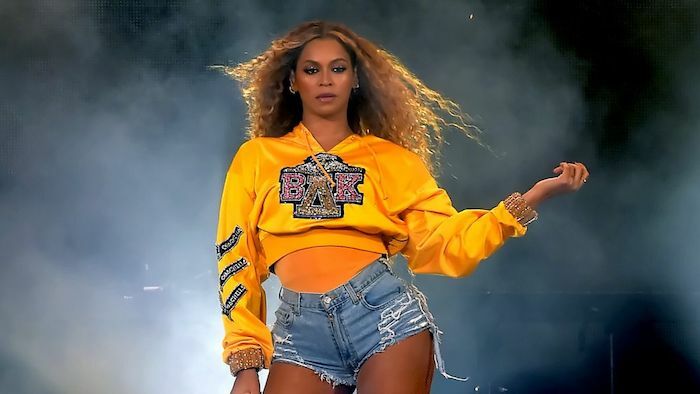 As writer Shanon Lee points out for Refinery29, this weekend Beyoncé made history: she was the first black female to headline the fest. She also celebrated black excellence throughout her performance by paying homage to the HBCU experience and celebrating Black activists like Nina Simone and Malcolm X. Inspiring? You bet. So, if you're in a Monday slump and you need a little pick-me-up, look no further than Beyoncé. You're welcome! What did you think of Beyoncé's Coachella performance? What singers and songwriters inspire you? Share in the comments below.